Technology is both the catalyst and fuel for innovation; the cornerstone of success in the Digital Age. Whether you are assessing your current deployment or looking for a new solution, iSOA Group can help you match your integration technology strategy to your business needs. Your business success depends on proper deployment of your chosen technology solution. iSOA Group Trusted Advisors assure that your technology deployment matches your business’s unique objectives and requirements. Success of your technology solutions and purchases means successful ongoing operations to assure you achieve and exceed the committed return on investment to your business. iSOA Group can help assure your success in day-to-day operations by supporting the implementation and operation of key technologies, with proper processes and documented procedures for your business environment. iSOA Secured Gateway LifeCycle enables innovation with a well architected, flexible, and secured gateway. Our focus is on secured gateway architecture that provides application layer connectivity, as well as security and integration between applications, internal and external systems, cloud resources, mobile systems, and mobile devices. For over 10 years, iSOA Gateway services and solutions providers have provided leading secured gateway lifecycle solutions. Wherever you are in your gateway lifecycle, an iSOA Group consultant is ready to help! iSOA Gateway advisors work to document your gateway requirements by matching your business requirements with the correct architecture, technology, and future requirements. In addition, advisors can assist in solution selection—from consulting on vendor offerings and determining the right assessment criteria to supporting proof of concept (POC) with vendors to assure the appropriate solution choice. iSOA StandUP Gateway deployment services can assist in the deployment, testing, and training required as your gateway solution goes into production.  To learn more about our StandUP Services, see our StandUP Services Gateway. APIs drive dynamic applications that can support your business requirements today and provide the flexibility to adapt for new requirements in the future. Whether you are looking at APIs to improve your internal development processes, consume APIs from others to add key services, provide your own APIs to your external customers and partners, or all of the above—a strategic business will have a supporting API management strategy to accelerate innovation. iSOA API Management LifeCycle solutions deliver support for your business requirements, wherever you are in your API journey! Our trusted advisors work with your company and its leadership to define and document API business requirements, use cases, and key constituents including internal and external developers. We ensure that you develop the right analytics and monetization strategy to track your API strategy and solution and ensure that it is achieving documented business objectives, and also deliver a documented, high-level project plan that meets company objectives and deadlines. Once you have chosen your API management solution, we can install, configure, and deploy your chosen solution including production, test and development, and disaster recovery, as outlined above. In addition, we will operationally document the API management environment for your company. iSOA API advisors can provide operation support of your API management solution. In addition, our On-Demand service advisors are available on-call to address any ongoing operational, functional, or deployment requirements. iSOA Group knows the key to success is a hybrid cloud integration lifecycle that enables companies to integrate applications, data, and messaging wherever they choose to deploy or access their IT resources. An iSOA Group Hybrid Cloud Integration lifecycle solution and framework enables companies to say yes to the cloud while being able to integrate and utilize key on-premises servers and applications. Our approach is a flexible framework that will enable your company to choose where to deploy the right applications and services that are integrated and secured whether in the cloud or on-premises. The iSOA Hybrid Cloud Integration Assessment documents integration requirements and tailors our framework to enable support of your business today—and also flexibility for the future. Our Hybrid Cloud Integration framework enables an integration architecture that reflects current and future integration requirements including systems, applications, and service level agreements (SLAs).Whether your applications and data are on-premises, remote, in the cloud, or on cloud-based services, this will ensure you have the architecture needed to guarantee that applications and information work together to support the requirements of your business. We can further assist your company in documenting both the key requirements and also your selection process and efforts for an integration solution. This support includes benefits such as assuring that the evaluated solutions match your environment and will support your efforts around proof of concepts (POC), and verifying that the solutions will support your integration requirements—both today and into the future. real business value while providing your in-house teams with the knowledge to update and modify your integration systems as the business requires. Success with any technology solution is determined by the day-to-day success of operating, managing, and enhancing your deployed solution. iSOA Group consultants are available “ OnDemand” to help answer post-deployment questions. Think of us as your expert-on-call who knows your deployment and can help assure your continued success. iSOA Group LifeCycle Accelerators Improve Success—Accelerating Time to Value and Allowing You to Focus on Your Business Innovation! iSOA Group LifeCycle Accelerators: iSOA Group understands that the key to success is time plus innovation. iSOA Group LifeCycle accelerators help companies deliver value for their gateway, integration, and API investments rapidly, all while ensuring that they will be architected and deployed correctly the first time. Leverage iSOA Group experience to help your company develop, document, and deploy an accelerated Hybrid Cloud Framework that supports on-premises, on-cloud, and cloud-based applications (e.g., Salesforce) that matches your business requirements. DPAdmin™iSOA Gateway Services and Solution Group’s – DPAdmin™ is an administration tool that simplifies DataPower administration and deployment activities. Easy-to-use interactive menu and command line scripted modes in support of build deployment tools.